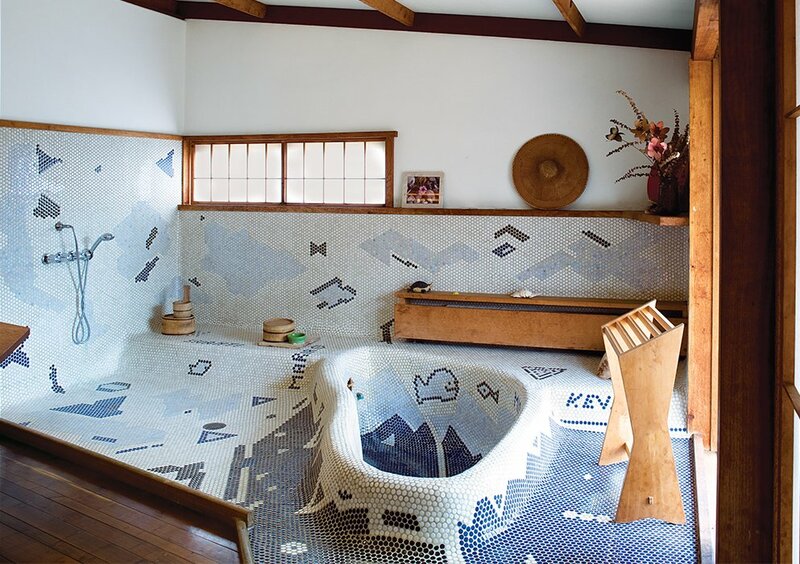 The sunken bathtub in George Nakashima’s Sanso Villa mimics the shape of a swimming pool on the grounds. His daughter, Mira Nakashima, took over the studio after his death and now lives and works on the property. “A Japanese garden often has a central pond derived from the character for ‘heart’ or ‘spirit,’ and this may be an abstraction of that character,” she says of the tub’s sculptural form.